uCashBinary is a another free binary options system. I’ve been doing everything I can over the past few months to try and discredit systems of this nature because I believe they are bad for the binary options marketplace. Today this page will act as a hub for traders to leave their opinions on the system and from my personal review. 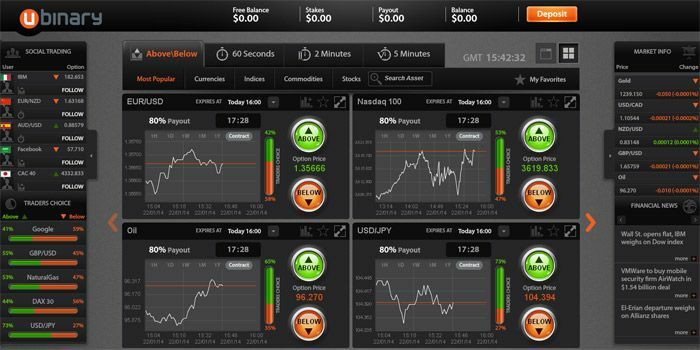 The uCashBinary software is another in a long line of free binary trading systems. The process for these systems is always the same. You sign up to their broker and deposit money through their link and that you are able to access the free software that is supposed to make you millions. One of the suspension’s about these programs is that they are actually being supplied now by the brokers themselves. What brokers do is they will offer you some sort of a software or service like the u cash binary so that traders sign up. The issue with this is a broker will never give you a good signal service or software because that would be giving away their own money essentially. Obviously a broker is never going to give away their own money so it is really hard to trust a free system like ucashbinary. I hope that you see this review before you wind up participating in this type of free binary options software. If you have anything you would like to contribute to the conversation about free binary options systems or the ucashbinary software I would appreciate it if you left some of your comments below. Thanks for reading my review and please check out the rest of binary today and see what we have to offer.